In 1983, Enrico Davoli obtained the Doctoral Degree in Animal Sciences (University of Milan). He was a post-doctoral fellow at the University of Nebraska (1987-1988, Lincoln, NE), and a regular fellow at the University of Colorado Health Sciences Center (1988, Denver, CO). Dr. Davoli is head of the Laboratory of Mass Spectrometry since 1997 (previously head of the Unit of Advanced Analytical Instrumentation, 1994-1997). 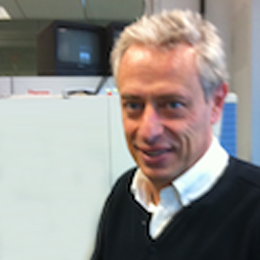 In 2016-2017, he was the President of the Italian Mass Spectrometry Society. He moreover was Member of the American Society for Mass Spectrometry (Environmental Interest Group Coordinator, 2008-2009), of the Environment and Safety Commission (ISO 14000, ISO 18000) of IGQ, and Member of Ministerial ETS Commission (European Emissions Trading Scheme). Dr. Davoli main research area include the following: development of methodology, instrumentation and software for environmental research, mainly based on mass spectrometry; studies of urban air pollution, characterization of environmental odour annoyance and toxic effects of large industrial plants and environmental health impact assessment; mass spectrometry imaging, including methodologies and analysis of tissues with special focus on anticancer drug distribution in tumours; e-cigarette analysis and risk characterization of vapour emissions. H-index 22 with 1228 citations out of 75 indexed publications (Italian Ministry of Health, Scopus, 02/2018).